Systemic Candida Yeast Infections - YeastInfection.Org by Eric Bakker N.D. Although there is plenty of historical and contemporary research in existence about Candida I am still amazed that some clinicians today really have little idea of what kind of problems can arise from it. Many doctors still think that Candida either typically affects only women or they think that only patients with diseases which have already compromised their immune system, such as HIV, can suffer the symptoms of it. In part some of this misunderstanding develops because clinicians fail to distinguish between local Candida infections and those which are systemic, and here I want to speak a little about the difference and how systemic infections are approached when it comes to contemporary treatments. Most of the patients that I either see or speak to, suffer from what are known as local Candida infections. This means that the infection has not broken through the defensive areas of the skin or intestinal system and traveled throughout the body. Local infections are usually confined to external issues, such as athlete’s foot or vaginal thrush, or those which invade the body but limit the impact to areas from the mouth down through the digestive tract and into the colon. 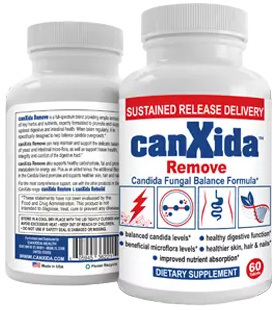 However when a Candida infection becomes systemic this means it has broken through the defensive barrier of the body at some point and has traveled through it, usually by way of the blood, to set up infections in organs or joints. Systemic Candida can, and usually is, very serious. This is more so because often, as clinicians are aware, the disease takes advantage of the weakened condition of a patient’s immune system when they are already suffering from an existing disease. However there is also research to suggest that systemic infections can be set up by invasive surgery. This is usually surgery where replacement joints or other parts are inserted into the patient’s body, such as a hip or valve, and infections are transferred because biofilms are already in existence on part of the equipment used. Biofilms, for those readers who are not aware, are made up of communities of microflora which reside in the body. In fact, biofilms can and do exist anywhere. For example, the plaque on your teeth is a biofilm. It is a community of microflora protected by a resilient film and, as we all know, can be the very devil to move. We have known about biofilms for a long time but for the most part they have been researched relating to their influence on industry rather than medicine, however more recently it has been discovered that around 60% of bacteria in the human body live in a biofilm rather than as single organisms as was previously believed. Because biofilms are very difficult to destroy in their entirety, it is now believed that many systemic diseases are caused by biofilms being transferred into a patient during an invasive procedure and those procedures are not limited to surgical ones. In fact even catheters can be sources of biofilms and pathogenic organisms are thought to be introduced by this route. I have written more on the topic in biofilms and candida connection article. And, if those conditions aren’t worrisome enough, Candida has also been known to affect the brain. Although popular this particular drug can cause digestive difficulties and often does. I always recommend it is taken in conjunction with a very good probiotic. Treatment, for local infections is usually limited to 2 weeks and a loading dose of 200 mg on the first day and 100 mg on subsequent days, however it can be raised to 400 mg. It is given for both systemic and local Candida infections and is very popular with clinicians. This is given intravenously and is used only in serious cases of systemic Candidiasis or where the infection is severe. It is usually very hard on the digestive system and is sometimes given in conjunction with other drugs depending on the nature of the infection. Patients with local Candida infections are no longer given this drug as a standard medical procedure. This drug needs stomach acid to be absorbed so if you are prescribed it remind your clinician that you need a stomach acid pH test before taking it. Lack of stomach acid is called achlorhydria or hypochlorhydria. Testing the pH or amount of hydrochloric acid in the esophagus is not relevant and so not required. It should also be taken with food and is usually prescribed at a dosage of 200 mg per day. This is similar to Itraconazole in that it needs stomach acid to be absorbed so the above guidelines apply regarding both testing and taking the drug with food. It is usually given at dosages of between 200-400 mg per day and is not a good option for patients with low food intake. No doubt that systemic Candida does exist and when it arises the consequences for the patient can sometimes prove to be life-threatening and, like local infections, are often difficult to eradicate. Can a normal IgA, IgG and low IgM indicate a yeast infection, possibly be responsible for pancreatitis? please I have been experiencing worm like movement all over my body for about 3 years now and I have tried herbal remedies all to no avail. some of the symptoms are : noisy stomach , low digestion, frequent urine and inordinate desire for sugary things. Hi Ifu. Ive had exactly the same symptoms for almost a year and have managed to significantly improve my quality of life. I tried pau-darco and grapefruit seed extract first with the great results but the best ive seen using loads of raw garlic (whole head chopped at once in the morning with raw honey), bitter juices like a mix of carrot with fresh turmeric and also organic milk kefir (I make my own at home). However regardless of what you try you must do everything you can to help liver and your digestive tract to upload the toxins. The only thing to do it is daily coffee enemas. Sometimes 2-3 back to back. Once you start on this you will the results in a week and your health will be getting better. I started in September and I now can work fine and live somehow normal life. I get tired often. The treatment may take a year or so… Don’t worry just go with it.